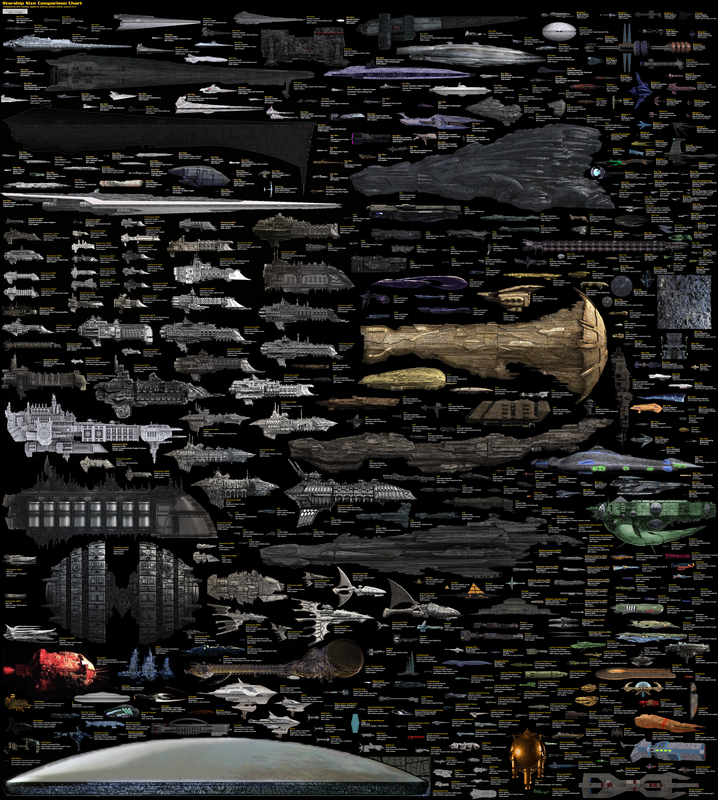 We have posted a giant comparison of spaceship sizes before, but this one seems to take the whole thing to a new level. This chart created by DeviantArtist Dirk Loechel contains so many ships it will make your head spin! From Aliens to Star Wars from Stargate SG-1 to Battlestar Galactica and from Warhammer to EVE. Astoundingly, this is still a work in progress and Dirk is still plannin gto ad Mass Effect and Dune and he’ll probably think of more. We looked for Disaster Area’s stunt ship from The Hitchhiker’s Guide to the Galaxy, but it may simply be too black to be seen. We can’t do justice to the full image, so we suggest you visit the source directly to see it in all its glory.